To understand how CarGo operates when it comes to gear, you need to understand two things. This guy loves to rock (no pun intended) pink on the field, and he loves him some Kobe Bryant. Over the course of his long career, CarGo has built up a giant collection of Kobe shoes, even getting a pair of Kobe 8’s signed by the Mamba himself. If you want to rock some Kobe 11’s (no longer available in this color) you can shop them at the link. 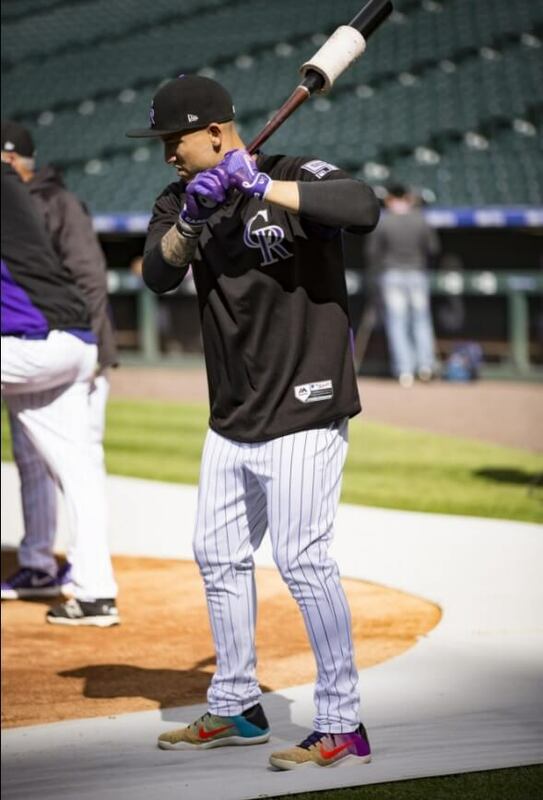 Categories: Gear, Outfield, Colorado Rockies, Carlos Gonzalez, Turfs.